Why did you become a dietitian? Growing up in the suburbs of Chicago in the 1980s, our family meals were paramount. I was busy with after-school activities, but never busy enough to miss meals, all of which we ate at home with the family. Some of my favorite family meals were tuna noodle casserole, meatloaf (with real beef, never turkey) with mashed potatoes, and fried chicken (with the skin on, of course). We indulged ourselves by going out to eat every so often as well as helping ourselves to the occasional ice cream or sugary treat. I never truly overindulged, and I can’t remember consciously thinking about food very often. Then came cholesterol. When I was nine, my dad had a routine appointment with his internist that changed his life forever. He was told he had two options: change his diet or die an early death. Perhaps the news wasn’t put quite as harshly as that, but my dad took it to heart (literally). My dad’s father and grandfather both had passed away from heart disease when they were in their fifties. The realization that he had to change his ways or face the same fate was a big wake-up call— for him and our family. If it weren’t for my dad’s struggle with cholesterol, I wouldn’t be who I am today. Once informed of his risk for heart disease, my dad learned everything he could about lowering that risk. He bought at least 10 diet books, learned how to cook, read nutrition labels, quit smoking, and started exercising. It was his mission to take control of his health, and he took me under his wing to learn along with him. Read more about Lara’s childhood experiences that led her to become a dietitian! I completed my undergraduate education at the University of Illinois at Urbana-Champaign. I was drawn there because it wasn’t too far from home, but also U of I had an excellent Nutrition/Dietetics program. While completing my undergraduate degree, I learned about the competitive graduate school application process for dietitians. There were fewer than 10 spots in each of the Master’s programs around the country. Also, similar to doctors, there is a match program for dietitians; a computer-based method which makes it fair to match the preferences of the applicants with the preferences of the program directors. I successfully matched at my first choice: Rush University Medical Center! I completed my Masters in Clinical Nutrition there with a thesis on parental influence in childhood obesity. I loved my education there and know I would not be as successful as I am today without the guidance and education from my professors at Rush. Curious about all the requirements to become a Registered Dietitian? Read our blog post to understand why RDs are THE nutrition experts in the field! What was your first job as a dietitian? I always wanted to work with kids and was determined to find a job in pediatrics. When I graduated, there were very limited options open and most of the pediatric nutrition jobs required more experience. Thankfully, I found out about an opening at the University of Chicago, working with the Pediatric Gastroenterology team. I worked under some of the leading experts in Gastroenterology and learned more than I ever thought I would know about our GI system. I was part of the treatment team and very much appreciated my esteemed colleagues looking to me as the authority in nutrition. Additionally, I began my work as the nutrition advisor for the University of Chicago Celiac Disease Center — helping patients navigate the gluten-free diet, at a time when the diet was far from trendy, and gluten-free options were hard to come by. 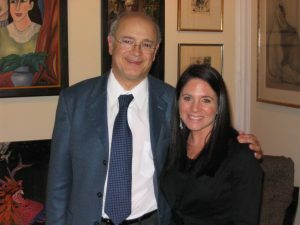 This clinical training and experience prepared me to become a specialist in celiac disease educating patients in my private practice, and other registered dietitians in local and national speaking engagements. After about five years in clinical practice, I was looking to reach more people. Rather than just working with the patients in the inpatient and outpatient setting at U of C, I was interested in making a bigger impact. I wanted to work with more families, network with many pediatricians and other medical practitioners, and work with food manufacturers and brands to promote nutrition messages to the consumer. FEED stands for Forming Early Eating Decisions and reflects on how I started in this amazing world of nutrition. More importantly, I started FEED around the same time as I had my first child. Having a private practice enabled me to structure my hours to watch my children grow and have a more flexible schedule. 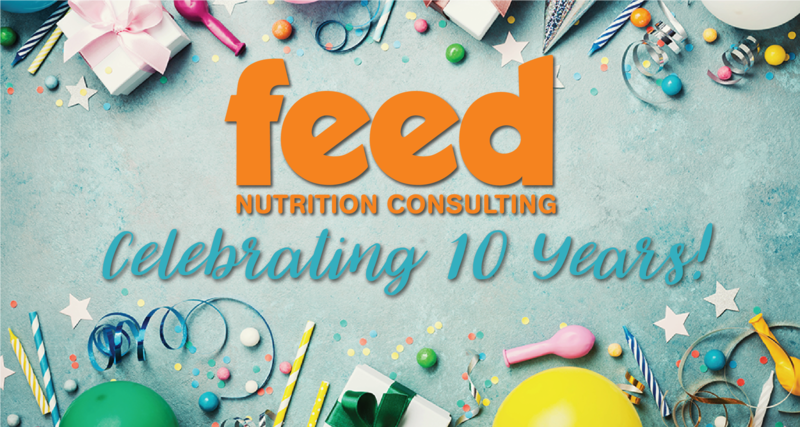 How has FEED changed over the past 10 years? OH BOY! It has grown so much. I started FEED as a part-time job on nights and weekends when I was not at the hospital, making only house calls or meeting clients at work. Back then, it was also just me doing everything from advertising, marketing, web development, writing/editing/creating blog content, writing recipes, photography, etc! For the past few years, it has been wonderful to have a true TEAM at FEED helping with these various important client relationship tools. 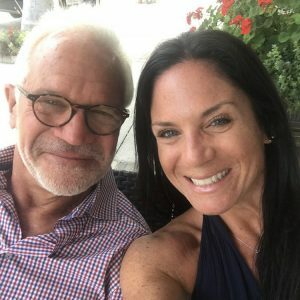 Also, we have grown into a full service practice with both pediatric AND adult nutrition support, in addition to behavioral therapy support, helping our clients on so many levels. Though we still do make house calls, we also reside in a fabulous office space in Lincoln Park. How do you think FEED is different from other practices? We really get to know YOU. Rather than making general recommendations or giving you a computer-generated meal plan, we reach our clients on such a personal level. We believe that eating and changing your eating habits are so emotionally driven that no two clients are the same. I find clients really appreciate the personal touch FEED provides. What do you think people would be surprised to know FEED can help them with? Because we specialize in both pediatric and adult nutrition care, I think many are surprised we are able to assist in so many different needs. As a busy working mom of two, I know what a hectic schedule looks like making me relatable to many clients’ stressors. I have personally been in the trenches with breastfeeding, starting solid foods, toddler picky eating, and now raising healthy athletes. In addition, my clinical training at U of C led me to be an expert in celiac disease and the gluten-free diet, and it gave me an in-depth understanding of restrictive diets with food allergies. My colleagues are experts in working with adult nutrition concerns from the low FODMAP diet to emotionally managing weight loss. I am so proud that we are able to cater to such a diverse population. What’s your favorite thing about being a dietitian? Nutrition is constantly changing. As science evolves, so does the en vogue diet of the month. I love helping people understand nutrition, and it is fun to hear the initial topics of interest when I tell people what I do for my career. I love being an educator and helping consumers understand the science behind nutrition. Click here to see Lara’s most recent Minute with Mommies segment on WGN-TV! When you aren’t helping others with healthy eating, what are you doing? One of my favorite pastimes is exercise. Whether it be running on the lakefront, taking a workout class, working out with my trainer, or riding bikes with my family, I don’t really like to stop moving! Staying fit is just as important as eating mindfully, in my opinion, but the bonus is that I feel as good, if not better, than I did when I started FEED 10 years ago! What is next for FEED? The future holds promise to help even more people. Considering how quickly ten years have passed, in my view, we are just getting started! Kristin Houts MS, RD, LDN is a Registered Dietitian who specializes in digestive health issues, modified diets due to food intolerance, and is an expert in the Low-FODMAP diet. 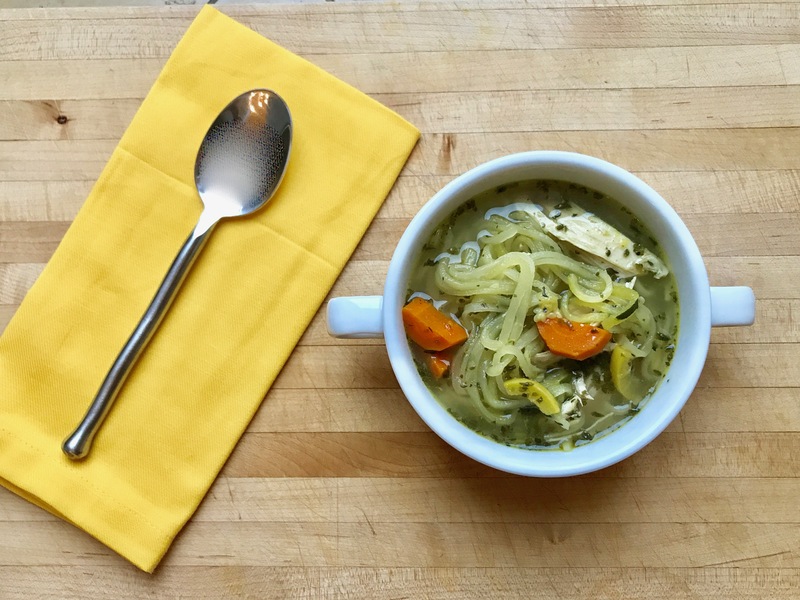 Follow along as she documents her own experience living with dietary restrictions on her Instagram, @KristinHouts_RD. Leave a comment or let us know what you like to hear about within FEED’s blog. Our audience is important to us! Sign up for the FEED Newsletter to receive healthy recipes and tips! Copyright ©2015 FEED. All Rights Reserved. Website designed and developed by Oneupweb.